For more than 75 years client/members have trusted Farm Bureau Financial Services to help them protect what matters in a way that algorithms and automation just can’t. Our agents provide personal service to our client/members, and ensure they have the right coverage for them and their family. Today, we have 4,300 agents, field representatives and employees in eight Midwestern and Western states doing just that. We offer a wide range of insurance products including auto, home, life, farm and ranch, and business insurance. We also provide a suite of investment solutions including mutual funds and annuities as well as college and retirement funding options. We’re committed to providing the right coverage for every stage in life. And, with a SuperCheck®, our agents are always on the lookout for gaps in coverage or potential ways to save for their client/members. 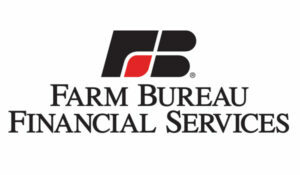 Headquartered in West Des Moines, Farm Bureau Financial Services is the consumer brand under which insurance and financial services holding company FBL Financial Group, Inc. conducts business. The company is traded on the New York Stock Exchange under the ticker symbol FFG. For more information about our people, products or services, visit our website at www.fbfs.com/.